The scramble is at the heart of many grappling exchanges, particularly within the new wave of jiu jitsu where many of the sport’s main stars have began to favour games heavily reliant on balance and speed… Controlled chaos. With our calendar approaching the end of 2015, and considering all the big tournaments are now behind us, we went back in time to rescue some of this year’s most incredible exchanges. 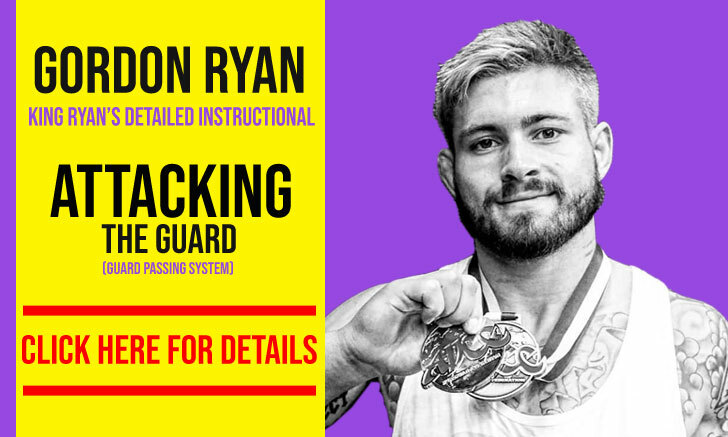 Unfortunately, due to copyright, we had to leave tournaments such as No-Gi Worlds, Copa Podio, Polaris, theADCC and a few others out of the race, but luckily there was no shortage of amazing submissions and most of our top choices were still available to display for grappling fans. In the featherweight final of the European Open we witnessed a clash between two of the most productive academies in the world, Nova Uniao – Bangú vs Alliance – New York City. Although the match started with fireworks through this exchange, the match slowed down as the two continued to lock horns, with Gianni slowing down the athleticism of Márcio with a tight lapel game. In the end André took the gold on advantages. Two of the most underrated and exciting grapplers in the sport today, Sá and Rocha had an amazing match in Santa Cruz. Thiago was on point on that August day, taking the win on points, but Lucas made Thiago sweat for every inch of that battle. Sliding under the jiu jitsu spotlight was IBJJF’s Santa Cruz Pro, an event that was the cause for Joao Miyao’s absence from the ADCC this year. 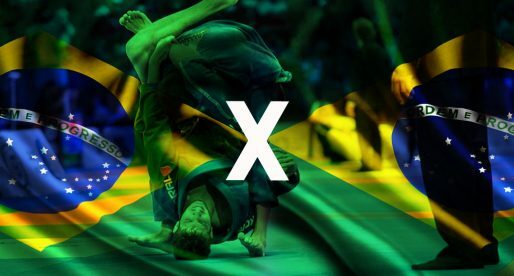 In the final of the event Joao’s berimbolo skills were evenly matched against Moraes’ world class jiu jitsu, as this initial exchange will make clear. One of the rising stars in Cicero Costha‘s camp, Manuel Ribamar is set for great things in the sport. Just a four weeks removed from being promoted to black belt, Ribamar was matched against the talented Jason Soliz in a fantastic match that ultimately went for Ribamar on points. Two of the most powerful athletes in the sport today clashing heads in a match that shook Dallas’ ground on the 20th of September. This example is just one of the many scrambles exchanged by these two in a match that was one of the best stand-up wars in the sport this year. The rivalry between these two is rapidly becoming a classic in the sport. In this match both showed heart, putting on an fantastic display of technique with backwards and forwards action, close submission attempts and amazing escapes. This simple and very technical exchange displays well how evenly matched Leandro and Keenan are. Another match that flew under the radar, but had many amazing exchanges. Both Claudio “Caloquinha” and Ramos are regarded as the top talent the 77kg division has to offer, and the match proved just that. In the end, Davi Ramos sealed the deal with this amazing back take (RNC finish). Getting into a scramble with Bruno Malfacine is a poor option for anyone in a grappling match as Washington Lima found out in this exchange. One of the fastest jiu jitsu competitors on the planet, Malfacine swiftly took the crucifix, winning the match by choke from this position. Two students of Ricardo Vieira in this article must mean the former world champion is doing something very right. Known as one of the best scramblers in the game when he was actively competing, “Rico” has since developed several of the sport’s rising stars. In this match his pupil Jackson Sousa went against another athlete with incredible awareness, in Felipe Pena. This ended up being one of the top jiu jitsu matches of the year. There are not enough adjectives that can quantify the importance of these two athletes in the sport of Brazilian jiu jitsu. When legends collide there is often a stalemate, it wasn’t the case this time in a match that Mendes stole with this incredible back take. Cover photo credits to BJJPix.com. 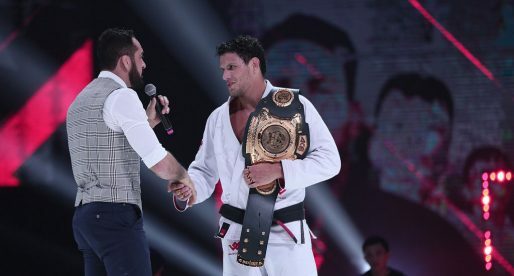 ACBJJ 12 Results: Pena Retains 95KG Title!